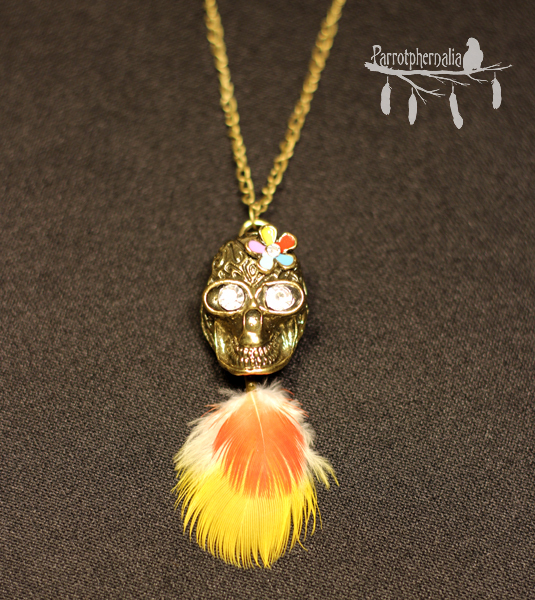 This brass coloured skull pendant has been revamped with some vibrant yellow and red macaw feathers. It has silver rhinestone eyes and a small rhinestone in the center of the flower. The flower has pink, blue, green, yellow and red painted petals. 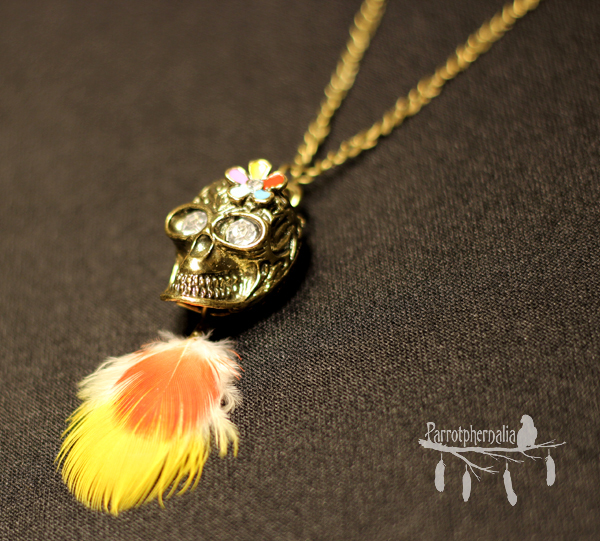 Pendant length with feathers is 3 inches. Comes with 27 inch long brass coloured chain necklace. 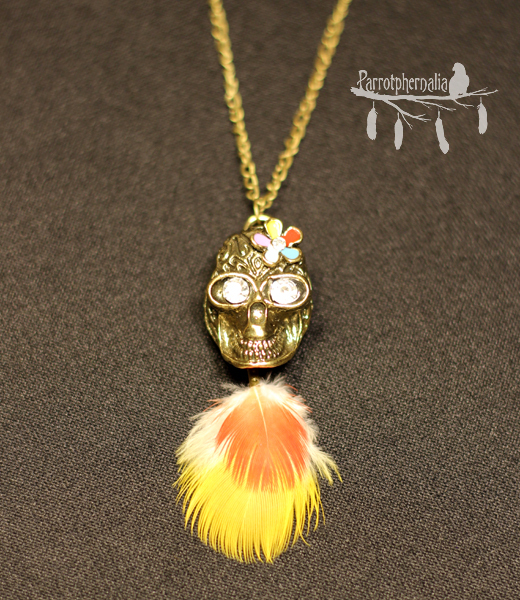 Get your dias los muertos on all year long with this necklace!